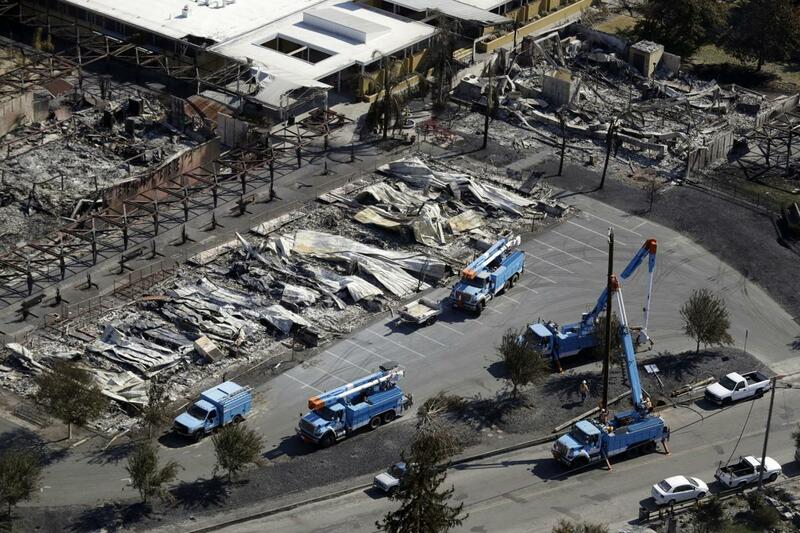 FILE - In this Oct. 14, 2017, file photo, crews of Pacific Gas & Electric Corp. work on restoring power lines in a fire ravaged neighborhood in an aerial view in the aftermath of a wildfire in Santa Rosa, Calif. The nation's largest utility on Wednesday, Feb. 6, 2019, promised to overhaul its wildfire-prevention measures in response to growing legal, financial and public pressure for its role in starting some of the most destructive blazes in California history. 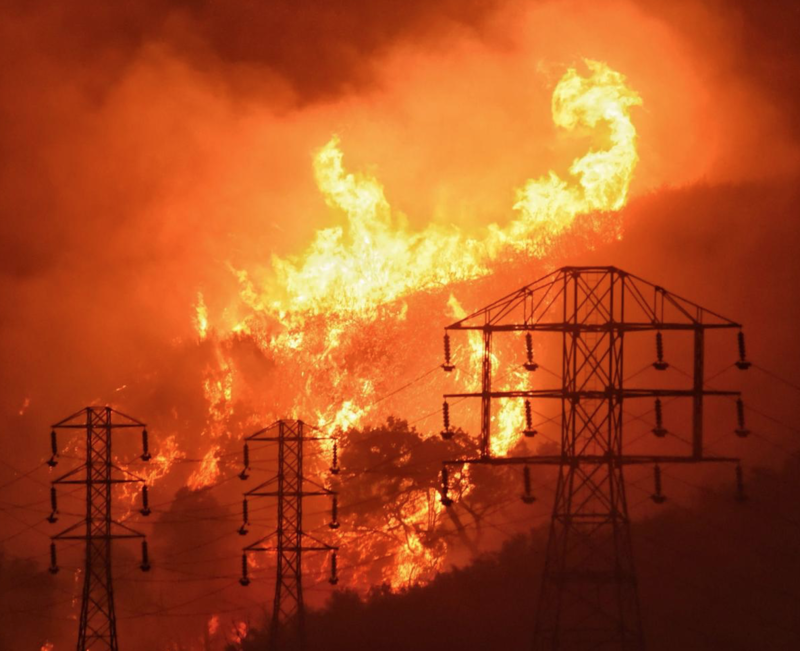 Up to 5 million California customers could temporarily lose power this year in the name of wildfire prevention if regulators approve Pacific Gas & Electric's $2.3 billion safety proposal submitted Wednesday. In this Dec. 16, 2017, file photo provided by the Santa Barbara County Fire Department, flames burn near power lines in Sycamore Canyon near West Mountain Drive in Montecito, Calif. The nation's largest utility on Wednesday, Feb. 6, 2019, promised to overhaul its wildfire-prevention measures in response to growing legal, financial and public pressure for its role in starting some of the most destructive blazes in California history.